A trip down memory lane. I went on a walk and picked blackberries. 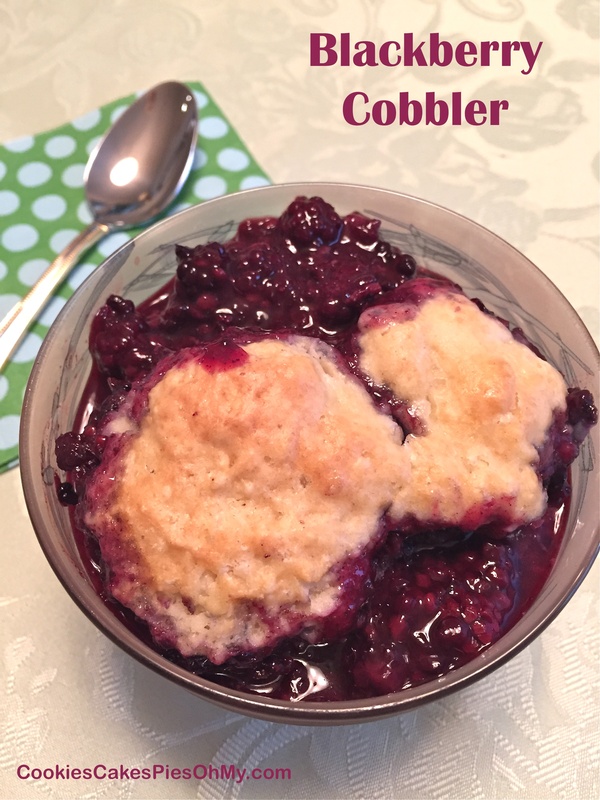 Then, home again and pulled out my mother’s recipe for blackberry cobbler and made it just like mom did when I was a kid. Wild blackberries sweetened just right and thickened a bit with a tender biscuit on top to soak in the goodness. What a perfectly lovely day! Heat oven to 375°. Spray an 8″x8″ square (or similar) baking pan. Have the mashed blackberries ready. In a saucepan, mix sugar, cornstarch, and water. Bring to a boil, cook for 1 minute or until starts to thicken. Stir in blackberries and cinnamon, cook 1 minute more. Pour fruit mixture into prepared pan. Dot with butter. Make biscuit topping. Stir together flour, sugar, baking powder, and salt. Cut in butter until mixture is crumbly. Mix together milk and egg; stir into dry ingredients, just until combined. 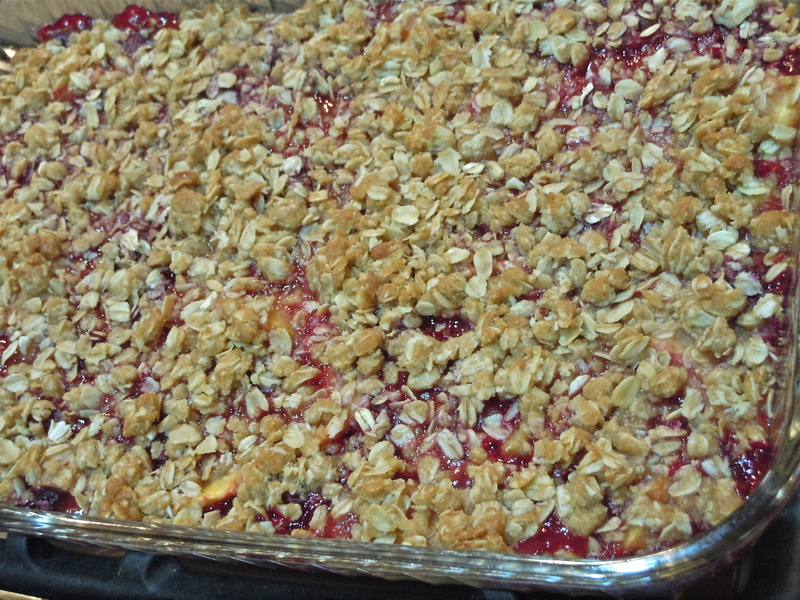 Drop by spoonfuls onto blackberry mixture in baking pan. 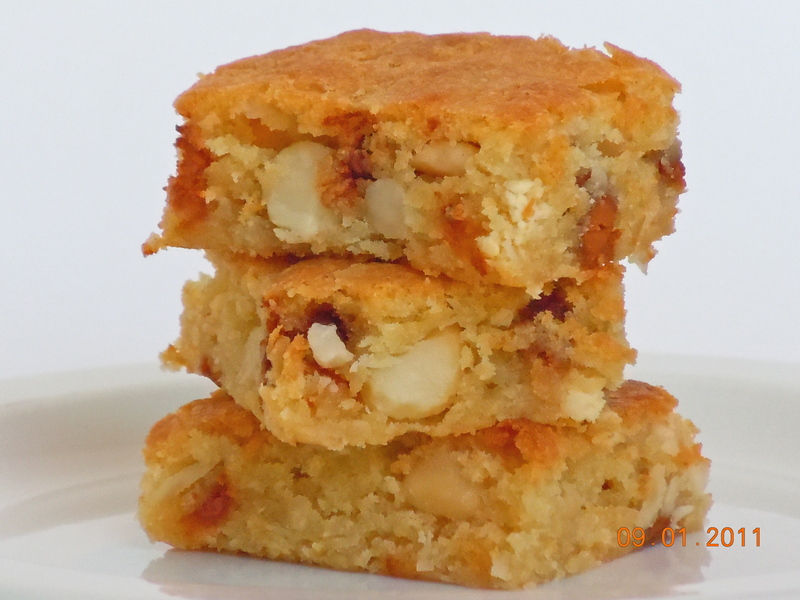 Bake 25-30 minutes, until fruit is bubbly and biscuits are golden brown. Delicious warm as is or with vanilla ice cream, or room temperature. I need to hurry and use three gorgeous big peaches and some beautiful raspberries before they are over ripe. 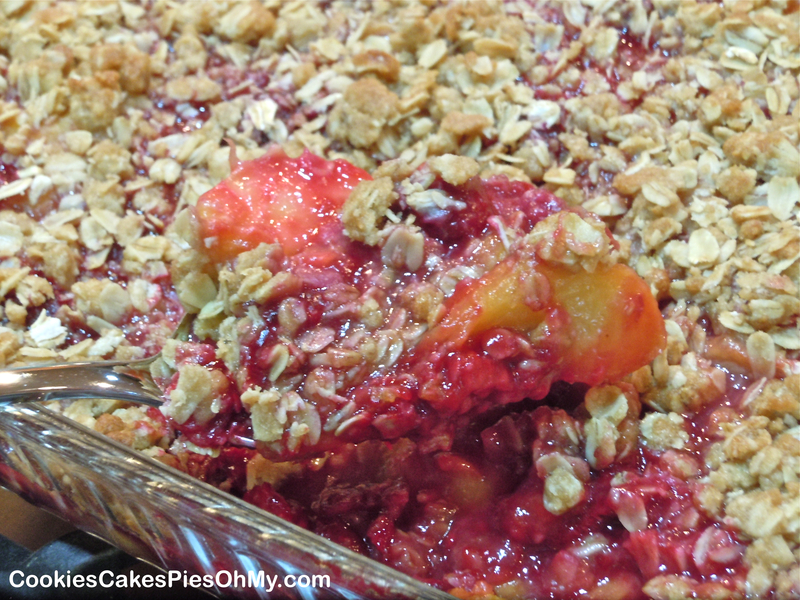 It’s easy to stir together a cobbler, I made this cobbler with an oat topping, it gives it a bit of a nutty texture. An easy way to peel the peaches is to boil a saucepan of water, cut an X through the skin at the end of each peach. 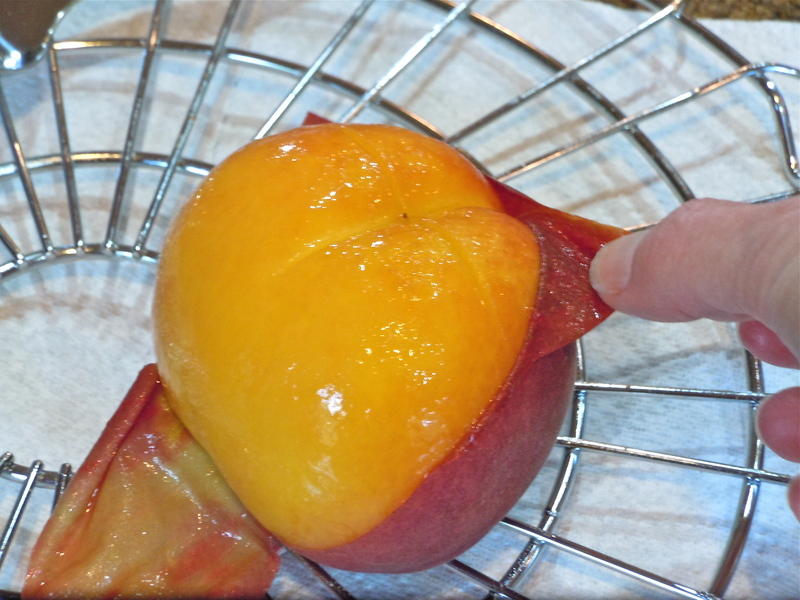 Place the peach in the boiling water for 45 seconds, remove with slotted spoon. Using the cut X, peel skin right off the peach, so quick and easy. Fresh peaches and raspberries, heavenly! Stir together oats, flour, and brown sugar. Pour melted butter over and mix until evenly coated and set aside. Preheat oven to 350°. Gently mix peaches, raspberries, and lemon juice. Stir together flour and sugar and sprinkle over fruit and gently mix. Spoon filling into well sprayed 9″×13″ baking dish. Sprinkle topping over fruit and bake about 30 minutes or until bubbly. Let stand for 10-15 minute and serve. If you are interested in Demarle bakeware and kitchen tools please visit mydemarleathome.com/kristenparker or simply click on the Demarle at Home logo below.